Going to towns. 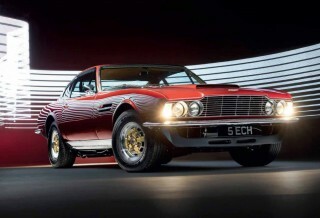 One man’s relentless pursuit of perfection drove the exhaustive rebuild of this Aston Martin DBS V8. Words Alastair Clements. Photography Olgun Kordal. 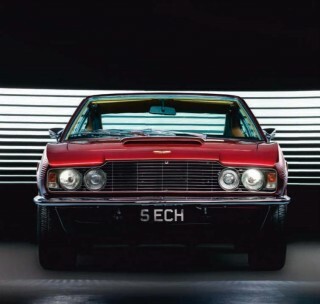 As Aston Martin values canter into seven figures for the most desirable models, it has become quite normal to see heady sums being forked out on concours restorations. 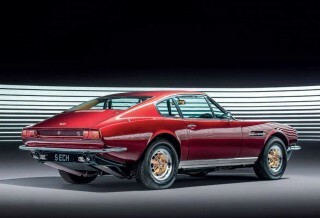 Yet the DBS, the car that was to lead the Newport Pagnell marque’s charge into the 1970s and beyond, has traditionally lagged behind, with owners reluctant to spend heavily on a car that might not be worth what they’ve invested once it’s finished. With the body and motor away receiving attention, Currington set to work refurbishing hundreds of other parts himself in readiness for their return: “I replaced all seals and the internal bearings within the axle, using engineers’ blue to carefully examine wear and tooth engagement in the diff. 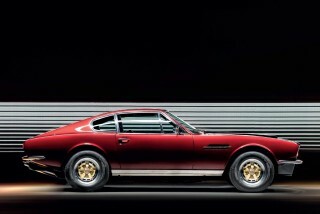 Everything matched the specification as prescribed in the workshop manual.” Any bits that couldn’t be renovated were replaced, with Currington turning sleuth to track them down: “Finding parts was easier five years ago, because folk were still breaking cars in preference to restoring them. I spent a number of evenings on the internet sourcing items that I would need. “Rat urine had severely damaged the instruments, and one of the luckiest finds was a complete new set that had been removed from a car when it was stripped to be converted into a racer, then stored in an attic.” The interior was another stroke of luck, after the original trim was found to be beyond repair: “What the rats had not enjoyed for lunch was covered in severe mould, and the car smelled unimaginably bad. 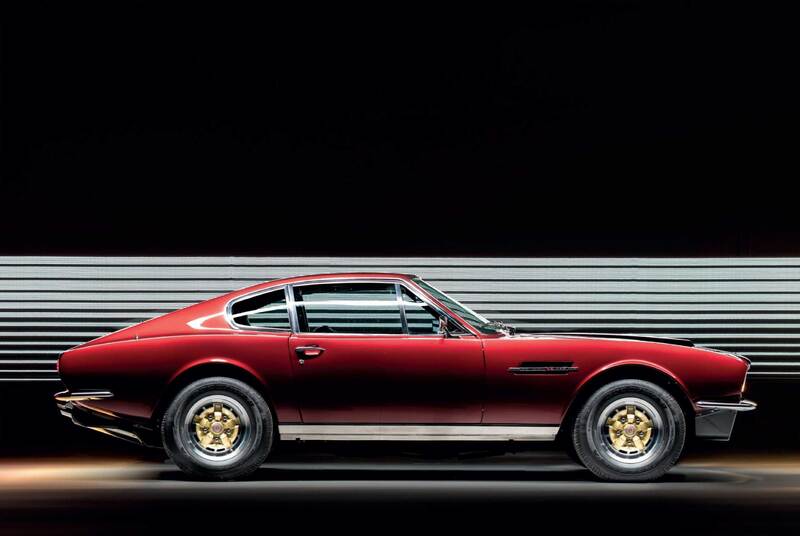 Non-standard gold alloys set off Dubonnet Rosso paint. 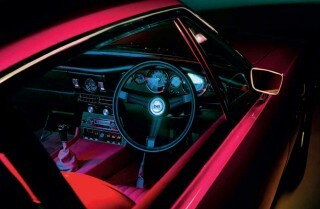 Below: temptation to replace plastic dash top with leather was resisted for the sake of originality. 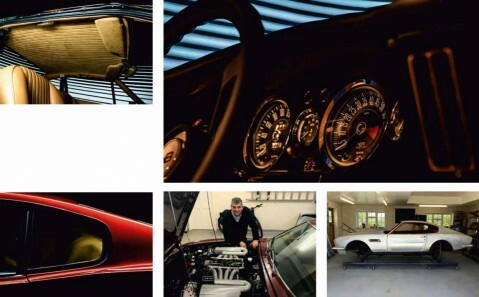 Clockwise from above left: the DBS in ‘barn-find’ state in Historics at Brooklands’ sale; engine comes out for stripping; replacement body sections were made by hand; the completed shell, ready for painting. Clockwise, from left: proud Currington with the fruits of his labour; side glass was professionally polished to match the new ’screens; Alcantara headlining; new dials were a lucky find. Opposite, from top: once modern William Towns-penned lines have aged gracefully; Tadek Marek’s mighty quad-cam V8. Beware of the spare car in the back yard!